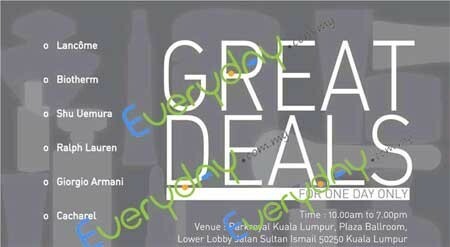 L’Oreal Malaysia Luxury Product Warehouse Clearance Sale is back !!! I know they just have it in May this year ... and don't know why there is another one so fast! Note : Goods purchased are limited to a maximum of 5 pieces per item per customer.) Handbags, Pouches, Carrier Bags or any form of bags will not bet allowed at the sales location. p/s: Anyone of you going? I think I'm going to have warehouse phobia soon.. since there are so many warehouse within this few months! Since I love shopping, to cure my sickness.... I will be offering Personal Shopper service for this warehouse sale. ya.. so fast right.. i bankrupt already but heart always itchy wanted to go and see !!! Wow...that's fast. I thought the usual one would be in around December. tutu j : say is easier than done!!! babe, this warehse do we have to q like the el waresale? how's the crowd? is it insane or quite ok? (based on your experience) thanks! 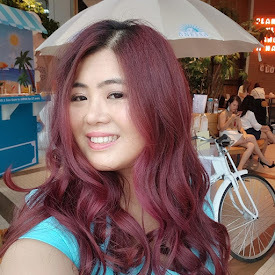 Shyra : Not as bad and crazy like the Estee Lauder one.. last year I arrived around 8-8.30am still managed to be the earliest batch to get in...so i think 8am should be fine unless got suddenly change of trend..
Cll : 12pm might a bit late, I suggest you to go at least by 8am. I think most people will grab fromGiorgio Armani because it will likely to be very cheap. I bought the refill for compact face powder for GA for RM15 only..
That's difficult to be around 8am as I need to lug around a 4 month old and a 3 year old. might need you to be my personal shopper for the face powder then :) how to request ar? Cll : Kindly email me .. jessying[at]gmail.com.. and will need get the details from you.. I am going too, hope you are going too. Scared to be alone ler... This is my first time going to this sales coz I keep missing it. I am really looking forward to it. Wanna get biotherm and Shu Uemura goods! Go la Jess :) see u there.